The demand for early-stage development funding consistently outstrips supply. At Convergence, where I manage our Design Funding program, I see over 50 early-stage blended finance vehicle concepts every quarter. A common trend I’ve noticed is that many vehicles have the potential to be game changers, however they get stranded in what we call the “pre-feasibility” stage - where a key development challenge is identified, but there isn’t yet a well developed financing hypothesis or structure. There is currently a funding shortage in the market for these “pre-feasibility” concepts sitting in the ideation and exploration stage. More resources are needed to support these super early-stage ideas (e.g., financial support to access quality structuring advice), so they can get to a place where they can stand on their own legs and apply for more serious sources of funding, such as from our Design Funding program. That’s why we partnered with Climate-KIC and the International Climate Finance Accelerator Luxembourg (ICFA) to pilot the Finance Incubator Competition. 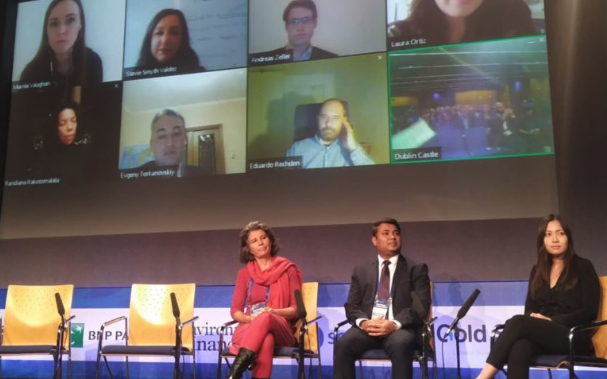 At the recent Finance Incubator Competition at the Climate Innovation Summit in Dublin, seven participants pitched their ideas for innovative financial vehicles to a global climate-focused audience ranging from governments and business leaders to investors and policymakers. Participants received feedback and the chance to win 15,000 Euros to develop their projects. This competition was a creative way to address the funding gap for super early-stage concepts, with the ambition to support teams with proposals that showed potential to catalyze investments into climate finance - but needed support to refine their ideas. The key objective was to help the proponents become more competitive, so they would be better positioned to apply to market accelerator programs, such as Convergence’s Design Funding and ICFA’s annual cohort in the future, once their ideas were more developed. NoCO2 - The Fair Fashion Center: Seeking to design a blended finance vehicle that invites customers to reduce the climate impacts of their purchases by opting into a check-out option where purchases are “rounded up” to the nearest dollar. This “round up” model will generate funds that will form an initial portion of a larger pool of donor funding to catalyze private investments, which will support factories and mills in major fashion supply chains in developing countries convert to low-cost renewable energy (e.g., install solar panels) and replace unclean coal/diesel generation. NoCO2 stood out because it ranked extremely high in terms of innovation. The “round up” model, if successful, can transform the entire fashion supply chain, which is the world’s 2nd highest polluting industry. Distributed Energy for Social Housing Fund (DESH) - Endless Energy: Seeking to design a blended finance vehicle to finance an affordable rental model for solar systems for tenants living in low-income condominiums in major cities in Brazil. DESH will pose no upfront costs for low-income households to use the solar energy, and will provide a discount on energy bills from day one. As DESH is based on a rental model, low-income households aren’t charged any interest rates and don’t have operations and maintenance responsibilities. We considered DESH unique as a locally driven financing solution that touches on climate and low-income housing, and underpins the importance of helping major cities become green and resilient. Gudd Green Fund - Gudd Green: Seeking to establish a climate-focused fund to invest in financial institutions and underserved small and medium enterprises (SMEs) active in green activities in some of Europe’s lowest income countries - Moldova, Belarus, and Ukraine. We believed the case for additionality was strong for Gudd Green, particularly for the targeted countries. The vehicle would address underserved climate-focused SMEs and projects that currently have limited access to financing, led by a locally-based team. First-time fund managers such as Gudd Green are often passed over due to their lack of track record, but we decided to take a bet on the team and provide them with the support they need to get started. These three ambitious ideas are just a tiny sample size of what’s out there. If we’re really going to tackle the SDG funding gap, we need to encourage more innovation at the frontiers. The status quo is not going to get us to where we need to be. But in order to get there, the bright teams with game changing ideas for financial vehicles require early-stage backing to reach the finish line. We need to grow a whole market of initiatives like the Finance Incubator Competition to ensure that these pre-feasibility stage ideas get the opportunity to succeed or fail, rather than being stranded in the ideation phase. The next submission deadline for Convergence’s Design Funding program is November 30, 2018. Find out more and apply here. 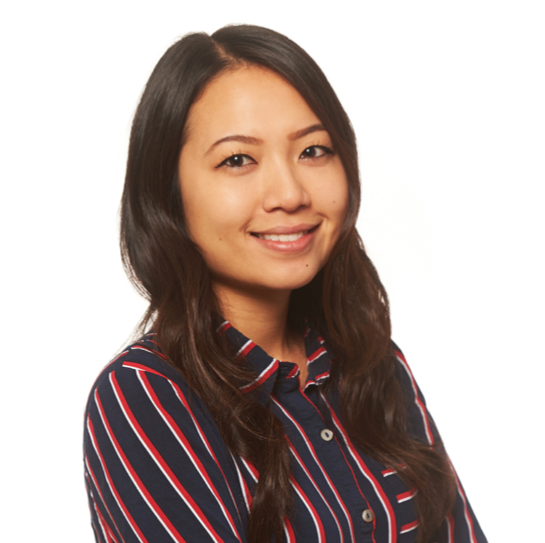 As an Associate, Trang is responsible for Convergence’s Design Funding program. She leads the solicitation and due diligence of all new grant proposals, management of grantee relationships and portfolio monitoring. Prior to joining Convergence, Trang worked in the private sector which included commercial banking at CIBC where she supported a $1 billion loan book, lending to privately held companies across North America in various sectors such as manufacturing and transportation. She previously held an Investment Analyst position at VinaCapital, Vietnam’s leading investment management firm, where she focused on new infrastructure ventures throughout Southeast Asia. Trang holds a Bachelor’s degree in Economics and Management from McGill University.